Do you want to trim down naturally but quickly? Do you work out, eat right but still have stubborn areas of fat deposits? Are you in too much pain to work out? Or just don’t have time? 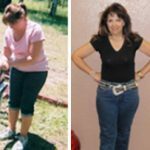 Are you looking to melt and metabolize inches of those locked down fat deposits from your hips, stomach, thighs, arms, and buttocks naturally? Ultrasound has come a long way from the diagnostic imagery that was regularly utilized to view your unborn child. Today, Ultrasound has given birth to ultrasonic cavitation, a highly evolved body contouring process designed to help people lose those stubborn inches, and fat stores in a natural fashion through their lymphatic system. Dramatic and rapid reductions are typically experienced with minimal if any discomfort, zero-downtime and without the inherent risk of infections, complications, or high-costs typically associated with surgery. Ultrasonic Cavitation is a process that utilizes the power of ultrasound to help break down the fat and fat cell deposits in a localized area of treatment. Its designed to aid your body through by engaging your natural detoxification and drainage systems to help mobilize and eliminate the emulsified fat deposits, and toxins from your treated area. In essence, your lymphatic system has always been there to serve in this process. It’s part of your body’s natural process, we’re just giving it a little extra help by exposing and breaking down the fat cells so they are readily available for elimination. Recently,SWS invested in a cutting-edge 3-D ultrasonic machine. It incorporates a highly effective 4-step process that truly delivers remarkable results. Step 1: We help break down the facia that typically encapsulates the fat stores with our 3-D 8-Pole Smart RF Photon head designed specifically for the body. This is an important first step because exposed fat deposits are a bit less stubborn which makes them far more susceptible to meaningful reduction when they are exposed to Ultrasonic Cavitation. Step2: Now we utilize our powerful 40K cavitation head to help break down the fat cells and deposits, in essence, we are working on creating liquidity so your body can help eliminate them. Step 3: At this point, we engage our Sextupolar Vacuum with 3-D Smart RF and Photon for the body. This is where we work on smoothing your skin, reducing wrinkles, breaking down cellulite, and engaging a bit more of your bodies natural draining process through your lymphatic system. The vacuum head continually pulls and releases the fat stores and dermal layers helping to create a pumping action of sorts. Step 4: Now, we come back in with the 3-D 8-Pole Smart RF Photon head. However, this time our technique will vary. Now, we will use the head as a rake of sorts executing specific maneuvers to help mobilize those liquified fat stores. We will literally herd those mobilized fat stores to key lymphatic drainage points in various locations throughout your body. Our mission is to to push them as far as we can to the exit point, so your body’s lymphatic system can work as efficiently and effectively as possible in their removal. It takes time, it takes skill and a tremendous amount of hard work on behalf of your technician! But, if you have a truly dedicated professional at the helm like we do, you will be thrilled with your results. We invite you to call and learn more about this cutting-edge approach. 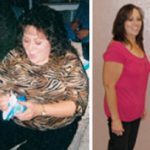 SWS is generating tremendous results with this process alone, stellar results in combination with a structured diet, and absolutely amazing results with the addition of our impeccably crafted M.A.A.P. approach utilizing HCG. 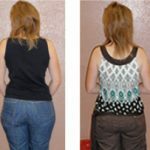 If you feel like your stubborn fat has been locked in a vault, give us a call! We feel pretty confident that we have the key! Call 505-888-0797 and schedule your free consultation. The combination can’t be beaten, the new highly evolved Ultrasonic equipment is painless and effective. Clients are experiencing significant inch loss the same day on their target zones. Additional benefits include: an instant feeling of skin tightening, smoother skin appearance, and marked reductions in the appearance of skin wrinkles and cellulite. We have to say that results do vary from client to client, and that it is very important to follow the recommended before and after care instructions. However, we also have to say that so far everyone of our clients have been delighted with their results, and that most are already telling their friends and family to call!